Doctors basically have no other Treatment for Peripheral Neuropathy other than a few drugs that don't give much relief and are certainly not a cure for neuropathy. When these medications don't work or they cause uncomfortable side effects, then people suffering from peripheral neuropathy have little hope for ever getting better,unless they happen to be taken a drug that is known to cause peripheral neuropathy, such as a Statin Drug, that they can just stop their regimen. But really effective treatment for peripheral neuropathy could be easy and inexpensive- and you don't even need your doctor to help you! In fact, some EXTREMELY common causes of peripheral neuropathy are Nutritional Deficiencies- and therefore these same nutrients are the treatment for peripheral neuropathy as well. Nutrients as a treatment for peripheral neuropathy have been used for decades. Particularly in impoverished nations who have, literally, had EPIDEMICS of neuropathy. Between 1993 to 1995 over 50,000 people in Cuba developed neuropathy. But nearly ALL 50,000 people were CURED simply by giving multivitamin supplements for neuropathy! But in first world countries, most doctors simply don't believe in nutritional deficiencies and therefore virtually no one with neuropathy is even OFFERED the option of trying out vitamins as a treatment for peripheral neuropathy or even told that is COULD be an option. And so while people In 3rd world countries are able to be cured of their neuropathy without diagnostic testing and without advanced medical treatments- YOU are left to suffer with your neuropathy! What a great medical system that we have. And to top it off, many of you have likely even been told that you have a problem or that it is all in your head- am I right? Well, you know that there is something wrong with you and you just might find a solution in these pages. sufferers, the pain will persist lifelong. In other words your doctor has given up on you and has left you to have pain, depression, employment problems and low quality of life forever. So, since your doctor is not likely to be looking for any more reasons for your neuropathy, it is up to you to look for them. But that is why you are still reading this. The very first nutrient that many alternative health practitioners think of when talking about treatment for peripheral neuropathy is Vitamin B12. It's inexpensive, readily available and usually works within a couple of weeks to solve your neuropathic pain- IF it is being caused by a B12 Deficiency. Vitamin B12 could be your problem particularly if you also have unexplained fatigue, Mental Changes from B12 Deficiency or any other Vitamin B 12 Deficiency Symptoms. Vitamin B12 is safe even at very high doses and has been used effectively as a treatment for peripheral neuropathy at doses between 1 mg to 20 mg/day safely. I HIGHLY recommend that you use the form of Methylcobalamin B12 instead of any other formulations because Methylcobalamin has the greatest effect on the nervous system and the brain- and can also help you with detoxification. Vitamin D had a long and proven track record in the treatment of peripheral neuropathy. And since Vitamin D Deficiency affects up to 85% of the population in some studies, vitamin D deficiency could really be a problem in people with neuropathy- particularly if your neuropathy is also accompanied by a deep feeling of 'bone pain'. To try Vitamin D as a treatment for peripheral neuropathy, you MUST get a Vitamin D Test done. If you can't get one through your doctor, then you can order one through my HERE. And the answer to your question is "YES", you must get a Vitamin D Level. While most people are aware of the dangers of an Overdose on Vitamin D, the real danger for the treatment of peripheral neuropathy is that you will not get enough. 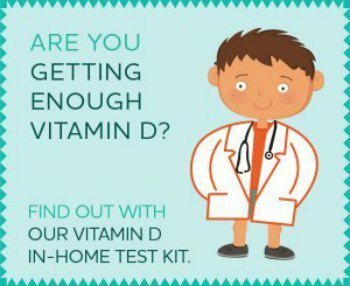 In many cases, it takes more vitamin D than you would have EVER thought that anyone would need in order to get your blood levels up to Optimal Vitamin D Levels. If you have neuropathic pain that doctors have not been able to help you with and you choose NOT to get a Vitamin D Level and you continue to have pain- then good luck and I wish you the best. 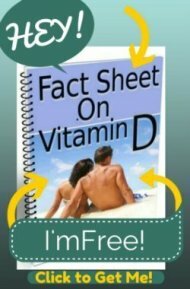 But if you want to absolutely, once and for all, find out for 100% if Vitamin D Deficiency is causing your pain, then bring your levels up and find out for sure. Otherwise you are just guessing and you will never know for sure if that is your problem. But doctors NEVER check for this genetic defect nor for vitamin E blood levels, so how do they know that YOU don't have that defect or low Vitamin E levels? They don't. In fact, they assume that you do NOT have it. In some cases, these defects were not found for 20 years or more, and when given vitamin E- the patient improved. While you CAN get a Vitamin E Level if you want to be thorough, Vitamin E is a great nutrient to take simply for overall health. Studies have used Vitamin E at doses of 600 IU's safely and effectively for neuropathic pain. Results are slow, however, and it could take up to 2 years to know for sure if Vitamin E deficiency is your problem. OR you can order a Fat Soluble Vitamin Panel from me and you can find out for sure if low vitamin E is a problem for you. If you choose to try taking Vitamin E, it's much better to get it in a whole food form from a high quality multivitamin. You should NOT take simply "Vitamin E" but vitamin e in the form of 'tocopherols' or 'mixed tocopherols'. Thiamine is probably one of the cheapest and easiest treatment for peripheral neuropathy. It is best to get thiamine from a whole food multivitamin along with adequate amounts of the other B vitamins, which seem to have a synergistic effect- and thiamine by itself has NOT WORKED in some studies because it seems to need to have the effects from the other B vitamins and from magnesium. 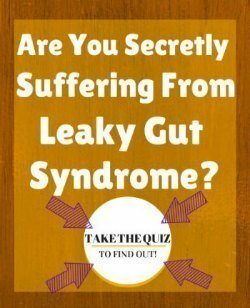 You cannot have beneficial effects from thiamine if you are magnesium deficient. So, studies have safely and effectively used between 25 mg to 100 mg of thiamine per day along with other B vitamins in a Vitamin B Complex as supplements for neuropathy. Not truly a 'nutrient' because it is not an essential part of the diet, but Lipoic Acid is a powerful antioxidant that can help to reverse the 'oxidative stress' that is one of the causes of peripheral neuropathy. Lipoic acid has been used in MANY studies as a treatment for peripheral neuropathy with good results. While many of the studies gave Lipoic Acid intravenously, several studies showed effective relief with 600 mg per day of Lipoic Acid supplements for neuropathy. If you choose a Lipoic Acid Supplement, I carry high quality Alpha Lipoic Acid Supplements called Thio Gel L. They not only contain alpha lipoic acid, but selenium and milk thistle for further support with detoxification. peripheral neuropathy. These deficiencies are well known in the literature, but are simply not used in western countries. But you will never know if they will work for you or not unless you try out these safe vitamin supplements. HOWEVER, people always want to know what ONE thing was their problem. If you work from this perspective, it may take you a very long time to figure out just what, exactly, is causing your problem. And you may never find out because many nutrients work WITH each other and not by themselves. So, do yourself a favor and take 6 tablets daily of Beyond Any Multiple and get 100 mg of thiamine,extra B vitamins, 400 IU's of vitamin E, 300 mcg of selenium and the trace amounts of vitamins and minerals that you may be deficient in. If you are suffering from any health problems, it is very likely that if you have ONE nutritional deficiency, that you also have MORE THAN ONE deficiency. Therefore taking just ONE nutrient is not likely to be of help.